An old VHS copy of Pulp Fiction I used to own was prefaced by an interview with Quentin Tarantino in which he introduces the film along with presenting two extended scenes that were cut from the final edit. In the days before DVDs, with extras an integral part of the product, a videotape with bonus material was quite novel. Among a slew of statements, intoned with the signature staccato delivery, one nugget of Tarantino wisdom lodged itself firmly in my consciousness: “There are two kinds of movie lovers. Those who love the movies that they love, and those who just love movies”. 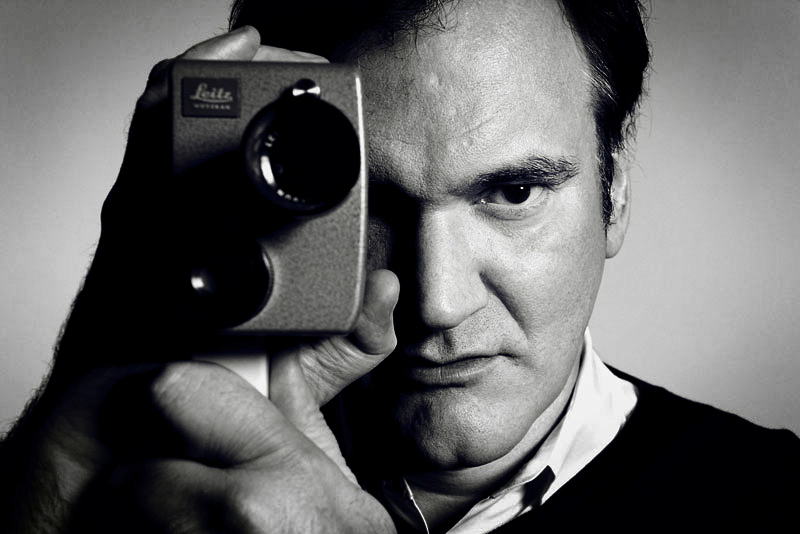 Tarantino goes onto suggest that he is undoubtedly the later, loving movies of all kinds and implying that this ethos is the grounding for authentic cinephilia. As an overly serious film undergraduate, imbued with the austere pretentiousness of a mature student, this statement seemed like a rarefied kernel of cinematic sagacity. Indeed, it is a maxim that underpinned my own film education & journey through academia, and has recently come back into my thoughts in the context of contemporary film culture. Embracing all that cinema offers should not be viewed as some grand gesture, it must be at the core of the film lover's very being. Therefore, the colossal abundance of film watching possibilities in the today’s digital culture, available through myriad delivery platforms, would seemingly offer a cinephilic utopia. Yet, if you are anything like me, it often feels as though this abundance borders on the oppressive, fostering the anxiety that one is perennially behind the curve when it comes to cine-literacy. Paradoxically however, the excess of choice one is confronted with betrays a reductionist, formulaic tendency, as though a nebulous, clandestine authority is pummelling you with infinite varieties of the same product. Could it be that the open-access zeitgeist of immediacy and availability actually produces docile, insular consumers who only love the films they love? I recently completed an online survey investigating digital platform use. As you might imagine I am an extensive user. I have accounts with Netflix, Amazon Prime and MUBI, and regularly pay for one-off downloads from Curzon Home Cinema, iTunes and Google Play, as well as viewing through BBC iPlayer and YouTube. This round up omits any crossing over into the moral abyss of deliberate piracy (which of course I would never do). Though I like to think that I possess a discerning critical taste and in-depth knowledge of cinema that allows me to navigate the labyrinth of content, such immediacy and choice can imbue strange cocktail of angst, apathy and ambivalence. Scrolling through reams of titles the search itself becomes an existential labour: how will this selection define me? What is my mood? How will this next choice expand my cultural horizons? What can help me escape? I’ll just watch something I know I’ll like. You choose. I often wonder what kind of time gets racked-up just in the very process of trying to make up one's mind. Pointedly, the lists of titles on streaming services are increasingly taxonomised less by the classical distinctions of genre and more by algorithmic association: because you watched this, then you might like this. Such digital tailoring of taste might on the surface seem like a benign effort to personalise our experience as viewers, pandering to our sense of unique self-identity. But make no mistake, it is based on the ruthless logic of online consumer retention; the longer we are plugged in, the more economic and informational value can be extracted. The counter-intuitive notion that despite our information-rich environment we exist in an enclosed eco-system, is now a familiar criticism of the effect of the internet, particularly in terms of the ideological viewpoints and political interpretations we are exposed to. This can also be applied to a cultural world in which there is seemingly a constellation of possibilities but where invisible arbiters are nudging us back into a safety zone of manageable, efficient consumption. One might conceive that this algorithmic ring-fencing not only ferments an illusion of choice but dulls the cognitive abilities to engage with a wide range of cultural forms. The multiplex era certainly hasn’t hastened the diverse exhibition utopia that some had promised and many had hoped for. In recent years, franchise filmmaking has further ingrained a viewing sensibility predicated on familiarity and repetition. Event films are so frequent and so hyped, they dominate screen time sucking up all the oxygen of publicity, yet the balloon of anticipation invariably deflates under the weight of lukewarm reviews and social media anti-climax. Furthermore, the commercialisation of fan culture has created a tick-box viewing mentality and completest fetishism through which the sharpness of critical faculties become blunted against the granite of homogeneity. The more I think about it the more Tarantino’s comparison between “those that love the movies they love" and "those who just love movies” seems to parallel the difference between fans and cinephiles. Of course, one can be both, however, today's culture of abundance, not to mention the majority of online discourse around film, is set up to cater to, and perhaps exploit, the insatiable market of fan specificity. Teaching film in higher education it is at times dismaying to realise the narrowness of students’ viewing vocabulary. Indeed, over the years introducing students to as many aspects of cinema as possible has become increasingly fundamental to the role. But even more worrying is when you get the sense that there is an unwillingness to venture out of what they know and know they love. In the pre-internet dark ages of three/four terrestrial channels, it was through television that I became aware of different forms of film. Watching late screenings on BBC 2 and Channel 4 I didn't know what independent, art-house, experimental or 'world' cinema was. What I was seeing just seemed strange, visceral, illicit, shocking, beautiful and authentic. Curated seasons like Moviedrome, in-depth critical analysis Scene by Scene, and centrality of the late Barry Norman’s Film [insert year] provided a quasi-film education. Because of the lack of film viewing options, even during the nascent VHS rental era television, in retrospect, now seems like it was a complement to cinema rather than I rival to it. The digital transformation is often aligned with a politics of democratisation, where the elite boundaries of high and low culture are dissolved through a rejection of gatekeepers, critics, curators or any elitist who tells you what you should watch and like. Expert induced ennui seems to be a condition of the times, but within many strands of the arts, one can detect a backlash against a kind of cultural flattening in which populism and the logics of the market are assumed to produce an objective superiority to the subjective relativity of critical judgement. A.O. Scott's latest book, for example, Better Living through Criticism, mounts a staunch defence of not only the professional film critic, but criticism itself, as a way of offering contextual and aesthetic anchoring points from which we might negotiate a more complex, layered, even truthful relationship to the cultural world. Ruminating on these issues, I am very much aware of fighting an internal contradiction: In no way am I proposing, in some dream of omnipotence, shutting off the internet and imposing what I might deem an appropriate regime of film viewing. Indeed, I feel like a Luddite even suggesting that the brave new world of cultural abundance may be actually curtailing a sense of intellectual curiosity. But it is perhaps accurate to say that we increasingly need to find or construct mechanisms, both instrumental and psychological, that help us to cut through the noise and forge a cultural cognitive map. I am lucky enough to have access to university resources, local independent cinemas, a network of cine-literate friends, colleagues & students, and produce a film podcast, all of which provide structures that furnish and inspire a love of the film in its most eclectic sense. But I still often feel somewhat trapped by the tyranny of limitless content. Whatever strategies one might employ for negotiating the joys and travails of a plentiful cinematic universe, finding ways of looking beyond what is immediately presented to you is the first imperative move. In the digital age, intellectual curiosity is something that actually might need to be worked on a little more than we might realise, particular if one aspires to the simple yet clear aim: just love movies.